Nominations for the 2018 Mike Siitari Officer of the Year Award are due by 4:30 p.m. Friday, Feb. 28th. 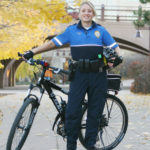 Each year, the Crime Prevention Fund recognizes an Edina Police Officer who has gone above and beyond the call of duty. Community members and City staff are encouraged to submit nominations for Edina officers who modeled exemplary service and leadership through innovation and public relations in 2017. 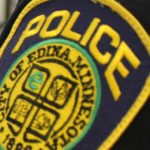 Individuals eligible for nomination must be current Police Officers for the Edina Police Department. The Edina Crime Fund has been a community partner for over 40 years, helping fund Police Department services and recognize exceptional officers. The Officer of the Year Award is named after Mike Siitari, who served as Police Chief from 1999 to 2009 during his 31-year tenure with the Edina Police Department. Winners are selected by members of the Edina Crime Prevention Fund. Past recipients of the award include Officers Joel Moore, Dave Lindman, Jake Heckert, Mike Seeger, Det. Mike Lutz and Det. Erik Amundson. Winners will be announced on the Edina Crime Prevention Fund website at EdinaCrimeFund.org and recognized at an Edina City Council meeting. To nominate a candidate, submit the name of the officer and a few sentences describing the nominee’s achievements. For more information, contact the Edina Police Department at 952-826-1610. 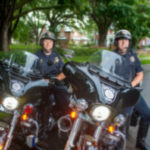 Hubbard’s accomplishments include the development and implementation of the Citizen’s Police Academy in 2009, service as a DARE officer and school resource officer, and the coordination of the annual Night to Unite city-wide block party event. Hubbard is active in Special Olympics, as well as events like the Polar Plunge and Law Enforcement torch run. 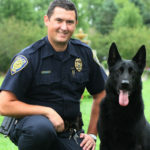 He was also a regular host of Beyond the Badge, a video YouTube series documenting Edina Police Department initiatives. 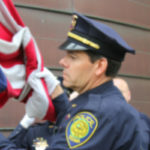 Amundson has been a leader in the department for years and was one of the first officers to serve on the Edina S.W.A.T. team in the late 1980’s. He was selected to develop the Commercial Crime unit in the early 1990’s and he holds a Masters Degree in Public Safety Administration from the University of St. Mary’s. Seeger has been the coordinator of the Junior Police Program for 15 years touching the lives of nearly 600 children each year. He grew up in Edina and continues to raise his family in the community. Seeger has also been active with the Edina Morningside Rotary Foundation since 2001 and is a volunteer Edina Fire Fighter. Throughout his career, Heckert has made it a priority to keep the roads as safe as possible. 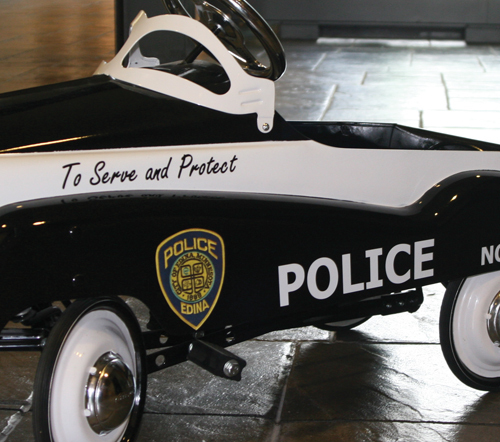 In 2013, Heckert made 56 DWI arrests, more than any other officer in the Department. He was recently recognized by Mothers Against Drunk Driving for his DWI patrol efforts, earning him a Silver Pin Top Enforcer Award. Heckert’s arrests were also one of the reasons the Minnesota State Patrol Division of the Department of Public Safety recently awarded the Edina Police Department a four-year DWI enforcement grant to reduce drunk and impaired driving on Edina roadways. Lutz was recognized for his dedication to his cases and care for the victims. He is also the longest serving officer in Edina, having been a part of the Department for over 40 years. He was promoted to detective in 1997 to the Crimes Against Persons Division so that he could work directly with the victims. On a 2013 case he and several other officers from within Edina and Minneapolis were able to work together to solve three related cases of assault and robbery. Lindman received the 2012 Mike Siitari Officer of the Year for his work on an international financial fraud case dubbed “Operation Starburst.” Operation Starburst started locally in 2009 while Lindman was assigned to the Minnesota Financial Crimes Task Force. Officers on the Task Force began to see a pattern in their investigations. 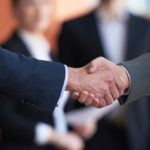 Lindman, who joined the Edina Police Department in 2001, said this team discovered an organized crime ring that involved “dirty” bankers who would sell account information to criminals and millions. So far, more than 30 people connected with Operation Starburst are in prison. Moore, the first recipient of the Mike Siitari Officer of the Year Award, has been an officer with the Edina Police Department for more than 10 years, during which he spent two years working in the Southdale corridor as an undercover commercial crime officer, where he made 411 arrests.